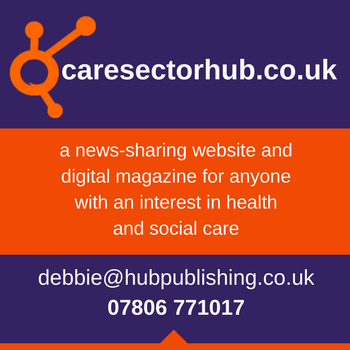 Caroline Twist has twelve years working as an activities coordinator in nursing care settings. In 2015, she embarked on a Winston Churchill travelling fellowship looking at ‘artists’ engagement with life history work in care home settings’. These travels took her around Europe and Brazil, to look at the best practice in care settings. Upon her return, she is travelling around the UK to share her fellowship findings and equipping care homes with ideas and support to become more creative. In January 2017, she set up a creative reminiscence box handling collection at Montgomery Theatre, Sheffield, as a free resource to care homes. 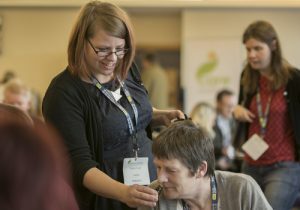 She works with Twinkl, an online educational company, to design an Elderly Care package of support for care homes in the UK and internationally. She also works as a development worker for Mutual Blessings taking ‘The Story Retold’, a national wellbeing project based in Sheffield, into care homes. 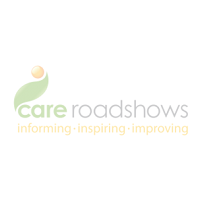 We are delighted to announce that Carrie will be hosting three workshops at the remaining Care Roadshows for 2017. The workshops along with the event are free to attend and are geared to inspire and educate those that attend. To find out more about the workshops available, click here.